Let’s Recap. 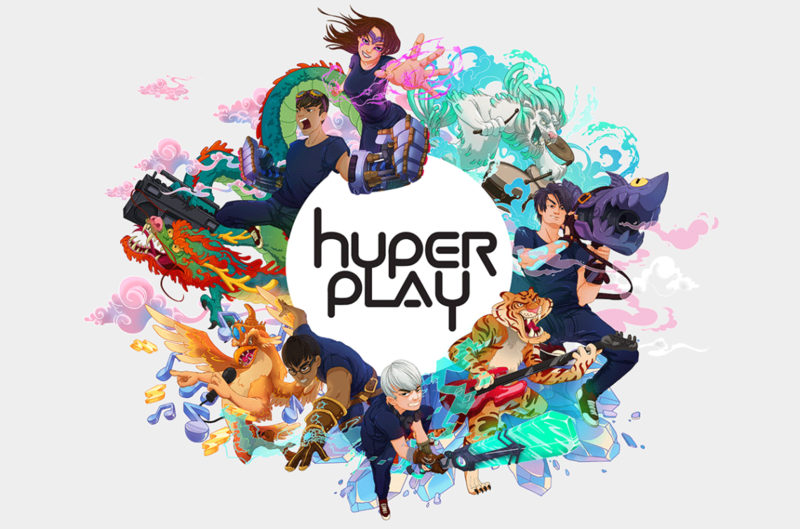 Hyperplay is a cultural event which is the brainchild of Singapore’s Ministry of Culture, MTV Asia and Riot Games. It’s a two day event where they are filled with League of Legend Games and MTV Spotlight performances. 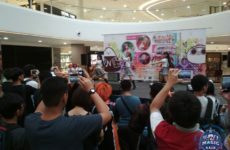 The Sam Willows and CL appeared on Day One. League of Legends Finalist, Malaysia and Vietnam is decided on Day One as well. Check out our Day One coverage on Hyperplay if you haven’t already! Day Two will compromise of the League of Legends Finals along with hit performances from Slot Machine, Afgan, Alessia Cara and Nick Jonas! Let’s get it on! 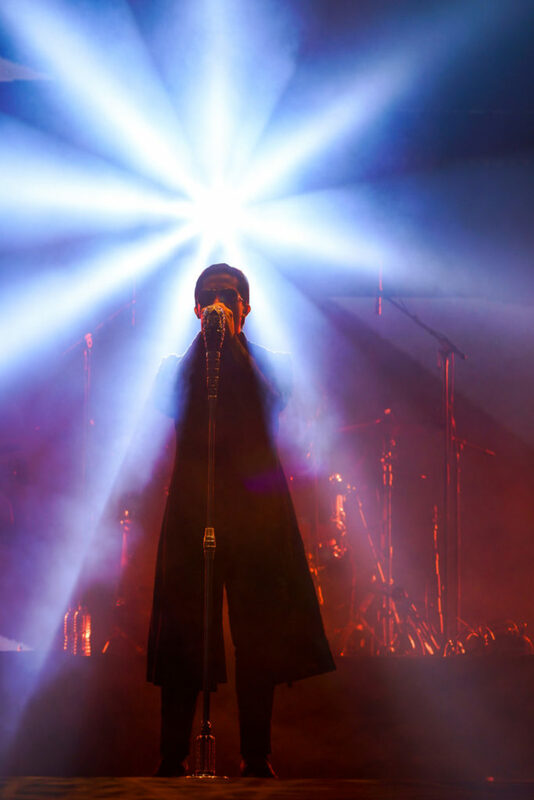 The first MTV Spotlight of the day, Slot Machine started off Day Two with an insane amount of energy. Their rock style is reminiscent of the old school rock bands like Red Hot Chili Peppers, Linkin Park and U2. (No? Don’t remember them? I’m old!) Slot Machine is one of the top bands in Thailand and after their set, I can totally see why. They started with some of their rock hits such as “Interlude”, “MRT” and “Sky Burning Stars”. “Sky Burning Stars” is my personal favorite as it’s catchy and it really brings me back to my high school days. In 2008, Slot Machine was known to try out some experimental sounds. It paid off as their fans reacted positively to their new songs and we got to experience the live version at Hyperplay! The songs they brought to Hyperplay is “Rue Du (Grey Sky)”. “Pharn (Yesterday)”, “Spin The World” and “Chan Chao (Goodbye)”. “Chan Chao” aptly named ‘Goodbye’ is their last track in their 7 set list which was a lung-busting song which was really unlike the others. It’s way louder and looking at the lyrics now, it’s way more moving. Slot Machine’s performances were genuine, sincere and after a picture taken with the crowd at the end of their performance, I am sure many of the crowd will remember the name, Slot Machine. “Our true nationality is humanity. Our true religion is unity. First of the two heartthrobs scheduled to perform on this day was Indonesia’s very own, Afgan. Hearts fluttered as Afgan walked up to the stage and started the first of his six songs, “Love Again”. It felt like a song that would fit right in at the 90’s, and it hit all the right vocal notes that gives his fans a hint of nostalgia. 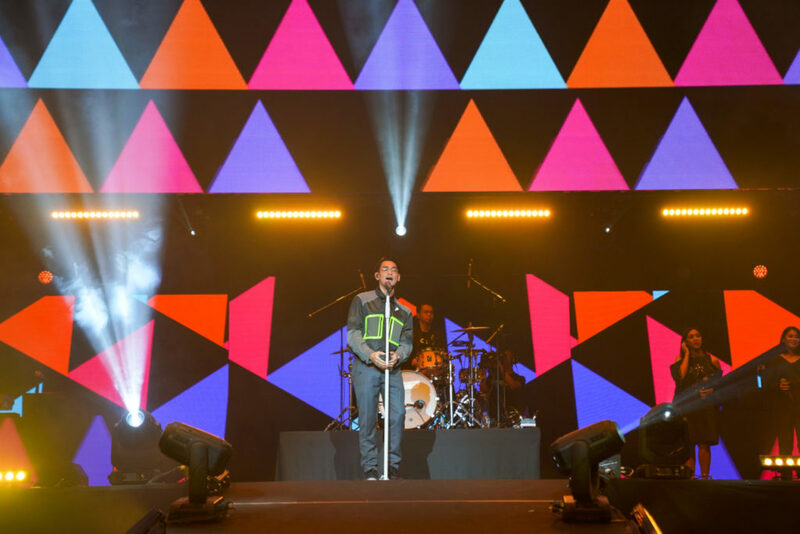 His fans continued to swoon as he sang “Knock Me Out” and “Count On Me”, a magnificent pop ballad that showcased Afgan’s soft and sweet voice that his fans know and love. Afgan then performed “Heaven” which is a song made by teaming up with Isyana Sarasvati and Rendy Pandugo. Heaven is a soft, acoustic, RnB, feel-good song and it’s such a pleasure to listen to. My ears were literally in heaven while I was listening to that song. Afgan finished his set with “Panah Asmara”, an upbeat love song that spoke about the moments with his loved ones. Something that I am sure the entire audience can relate to at that moment. It’s time for the Grand Finals at Hyperplay. Two teams have came up strong and now they have to prove to everyone that they are the strongest. The first game was a pretty dominant win by Malaysia, an outcome that many including I, did not foresee. All of these started with the genius draft by Malaysia’s coach. 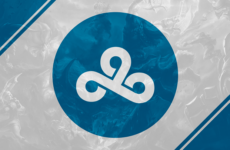 The first 3 pick by Malaysia are Taliyah, Jayce and Lulu; three champions which are flexible and can be placed in any lanes. This allowed Malaysia to counterpick every lane that Vietnam picks. The result was a poke composition where its sole job is to counter Artemis’s Xayah. Malaysia only had one job. Poke, retreat, poke, retreat. With Arhedge’s Jayce and OzoraVeki’s Ziggs, there was nothing much Vietnam can do but to hold on. A blast from Jayce was deadly while Ziggs can throw bombs after bombs. Once Vietnam was low enough, Malaysia will just charge in with Shiro’s Kled and finish up the fight. This is a beautiful strategy because Malaysia did not play into Vietnam’s game of hyper aggression but just slowly and calmly chipped at their defenses from far away. Eventually, the wall has to fall and an exposed Vietnam crumbled with their first loss at Hyperplay. With Vietnam at match point, what can they do to balance the scales? With such a dominant Jayce in Game One, Vietnam was clearly afraid of dealing with Arhedge’s Jayce again. So for Game Two, Vietnam stole the Jayce away. Little do they know, Arhedge was not planning to play Jayce again. Arhedge locked in Zoe and Qaspiel got his Kindred once again. This mid jungle duo was planning to shut down Vietnam once again and claim the first International victory for Malaysia. 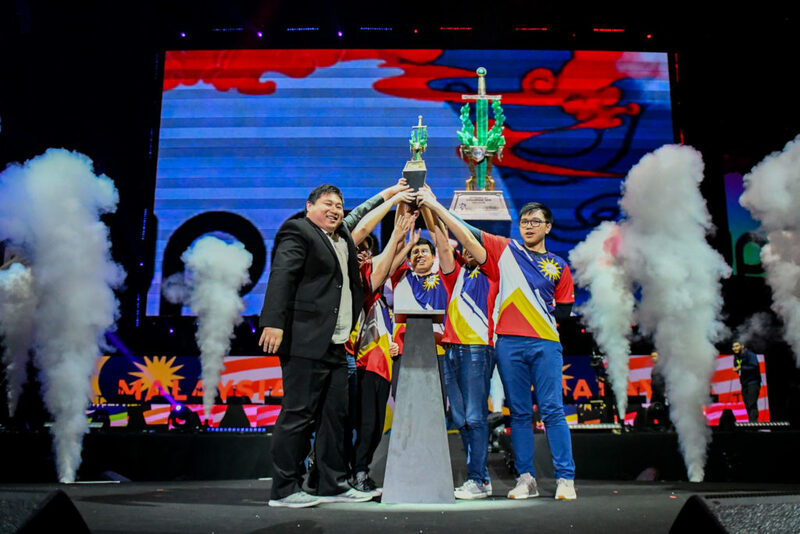 Malaysia’s Qaspiel and Arhedge were relentless in focusing Vietnam’s PuppyK. All of this was to get Arhedge ahead. At 10 minutes, Arhedge was on a 5-kill lead and like Game One, Arhedge was going to hard carry Malaysia to victory. Fast forward 20 minutes, Arhedge now has 15 kills, nearly as many kills as Vietnam’s entire team combined. Arhedge was able to blow up both Artemis and Hai3 because they were too close to each other. I bet they didn’t see it coming. With two members down for the count, Vietnam can no longer hold against Malaysia’s onslaught and Malaysia pushed on to destroy the nexus. Making her Singapore debut at Hyperplay, Alessia Cara started her set with “Here”, “Wild Things” and “How Far I’ll Go”. 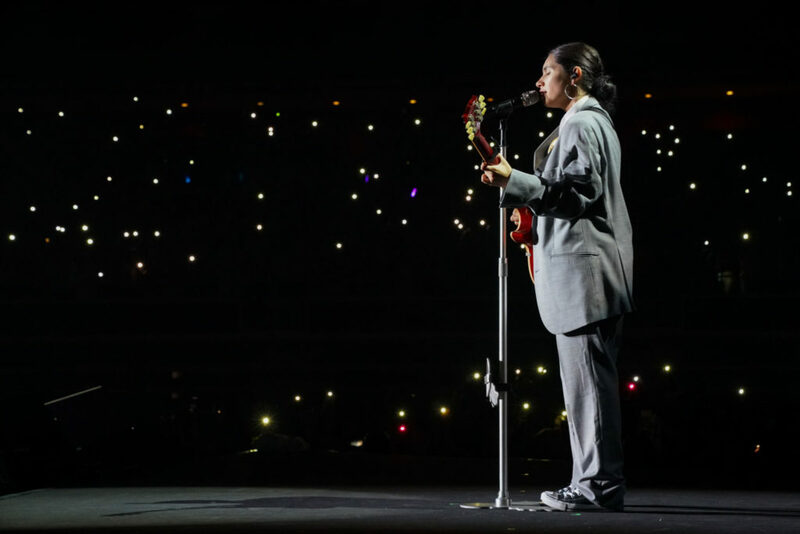 With the chart-topping hit, “How Far I’ll Go”, the entire stadium got together and sang with Alessia Cara. It’s just like a giant karaoke stadium! After 5 minutes of Disney magic, Alessia Cara continued on with “A Little More”, a song that was most recently released on her birthday. I think the song that turned me into a fan has to be her next song, “Scars to Your Beautiful”. It’s such a beautiful song with an important message. Played against a backdrop of people of different types and sizes, the song is about accepting yourself no matter how you look. Alessia Cara finished her set with “Growing Pains” and “Stay”, another chart-topping hit that was a very successful collaboration with Zedd. “Stay” is also a song that’s loud and catchy which is a good song to end a high note with. With Nick Jonas slated to appear along with Alessia Cara, I can safely say that the two of them are the main reason for the stadium being packed to the brim at Day Two. There were literally no seats left. 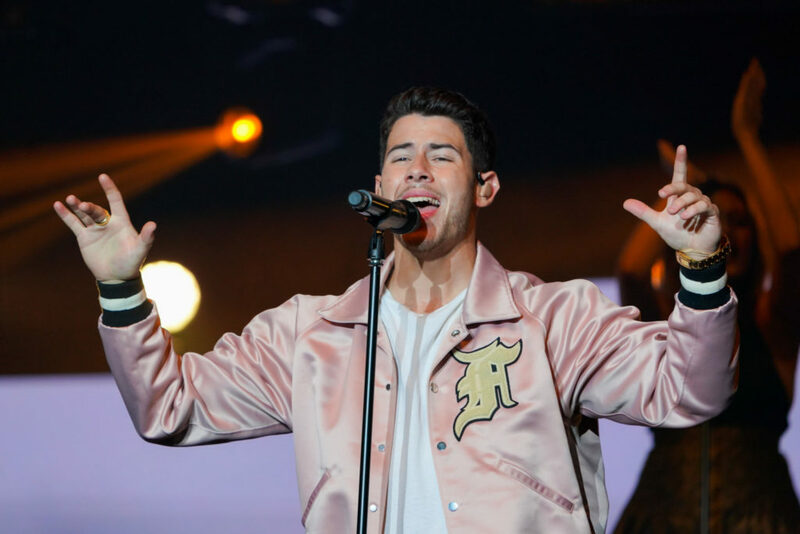 As Nick Jonas stepped onto the stage, the crowd roared with excitement. Nick Jonas’s set started with “Close” and “Teacher”. As Nick Jonas sang “Teacher”, the background was playing its music video where the lyrics can be seen sprawled onto the bodies of good-looking, buff guys and girls. The song itself was reminiscent of 1980’s funky music, something that you can jam to. I highly recommend it. Next, Nick Jonas slowed down the beat with the smooth RnB song, “Chains” but brought it back up immediately after with another catchy electro-pop, “Levels”. This was like a roller coaster ride. Nick Jonas ended the night with “Jealous”, another fan favourite RnB song, and his fans were cheering at the top of their lungs, hoping tonight will never end but it must. With that amazing closing performance by Nick Jonas, Hyperplay came to a close and I’ll be sure to come back again next year. Maybe I’ll fly this time instead of driving.